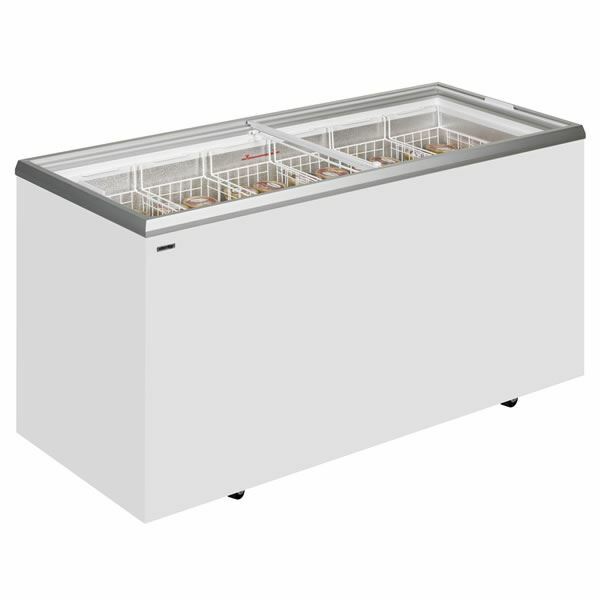 The Derby EK46ST chest freezer display has a flat sliding lid which gives a large chest display for your frozen goods. This comes supplied with baskets, a fitted lock and castors as standard. Along with this the unit has an adjustable temperature making this unit ideal for a variety of uses, for example, as a display freezer in a convenience shop selling frozen peas, chips and more or in an ice cream parlour selling pre-packed ice cream. 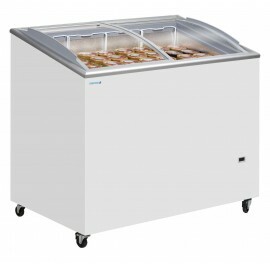 This Tefcold IC300SCEB Sliding Curved Glass Lid Chest Freezer is great for customised branding, stor.. 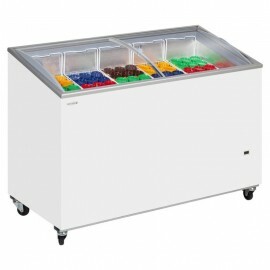 This Tefcold IC400SCEB Sliding Curved Glass Lid Chest Freezer is great for customised branding, stor..